On July 19 did you wave at Saturn as Cassini was aiming its camera back our way? 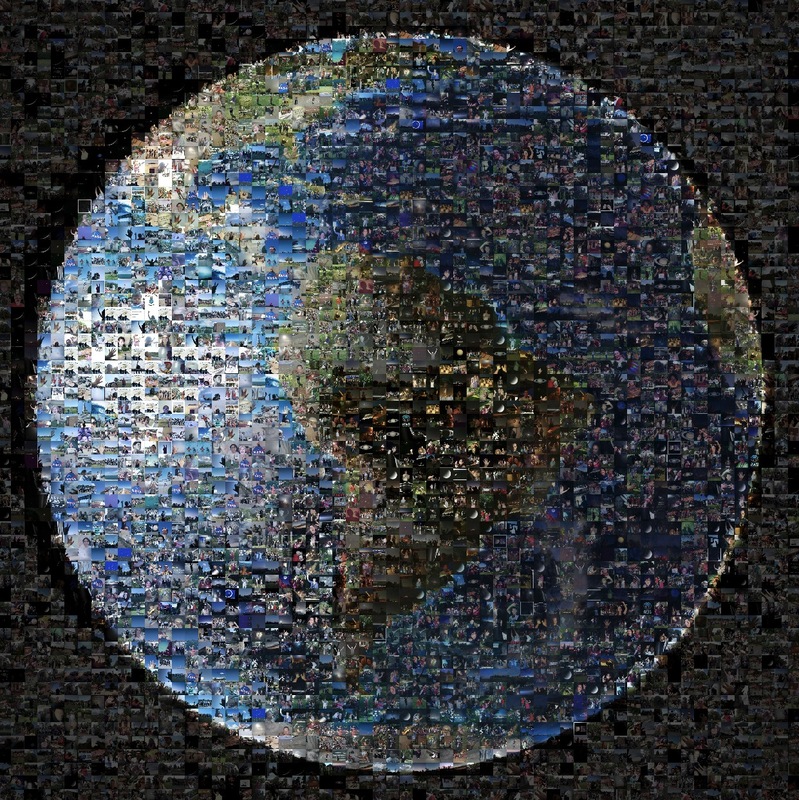 If you did (and if you sent a photo of you waving to JPL, like I did) you’re in this awesome new image, a compilation of 1400 submitted photos from assembled into a mosaic of Earth, a planet-wide wave to a spacecraft 900 million miles from home. Download the full-res 25 mb version of the image here. The Cassini imaging team at the Space Science Institute in Boulder, CO is also working on an image of Earth, as seen from Cassini on July 19. That one, though, will show our planet in context from the spacecraft’s position in Saturn’s shadow on that particular day. Expected to be released in September, it will be gorgeous, glorious, and definitely well worth the wait! 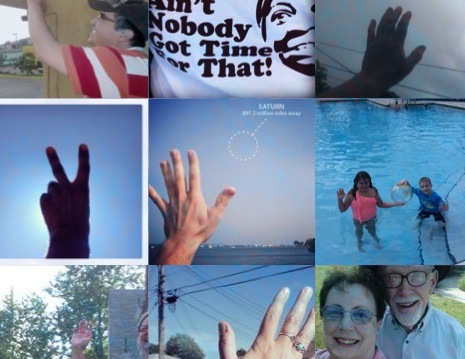 Keep an eye on the imaging team’s CICLOPS page for updates.